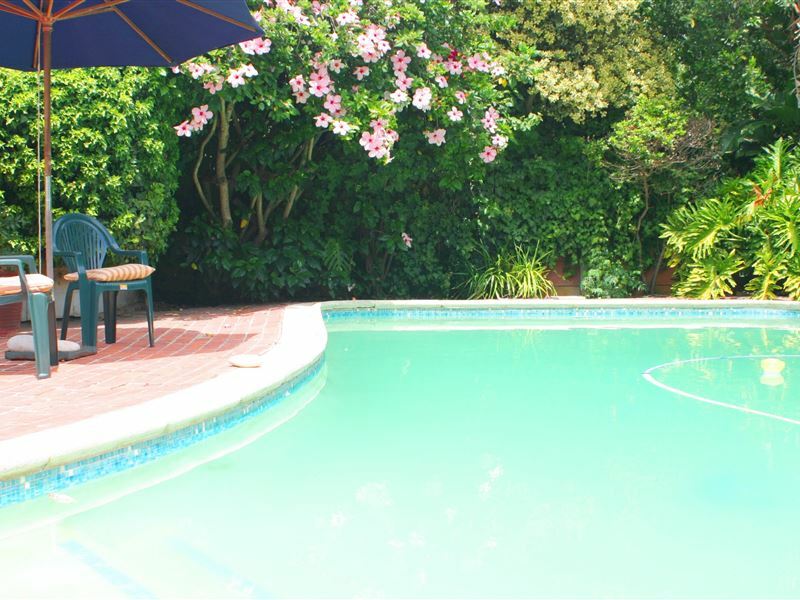 Frieden-Hof Guesthouse offers self-catering accommodation in Penhill Estate, Western Cape. Meaning &apos;peaceful courtyard&apos;, Frieden-Hof exudes a feeling of tranquility and relaxation. Penhill Estate is a cluster of smallholdings bordering the Stellenbosch vineyards and is just 17 km from Somerset West, 20 km from Stellenbosch and 7 km from Cape Town Film Studio.The nearest airport is Cape Town International airport 20 km from Frieden-Hof. Accommodation is offered in 2 spacious furnished en-suite rooms with fully equipped kitchenettes each with an adjoined private patio/deck leading into a lush and spacious garden area.The units at Frieden-Hof are fitted with flat-screen TV&apos;s with satellite channels.Be mesmerized by the sound of bird song or by the sunset array of warm colors across the sky which makes for perfect company to enjoy breakfast or sundowners on the patio/deck. You can opt for a braai/barbeque, a splash in the pool or do your own thing in the very tasteful interior of this self-catering cottage with absolutely everything you might want for.. Extremely good! 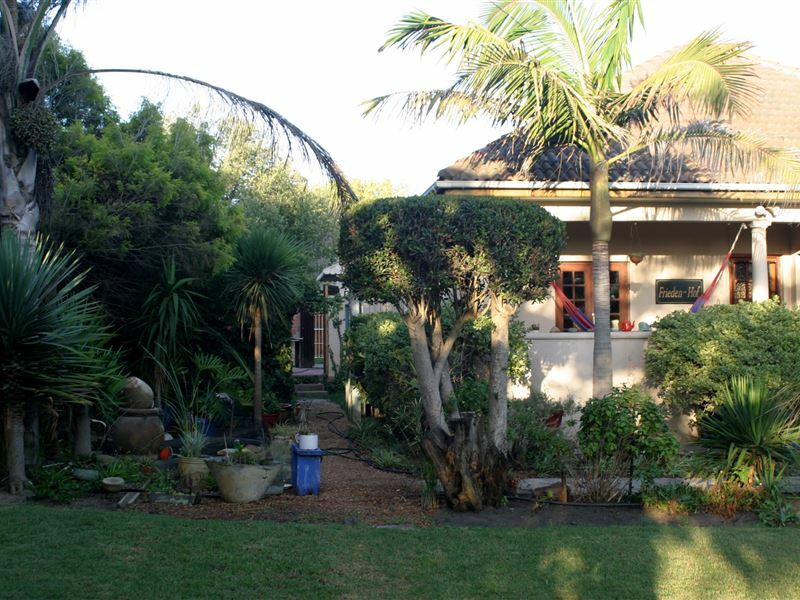 Great owners, excellent rooms, kettle, microwave, cable tv, wi-fi, balcony, amazing garden, palm trees, including banana palm tree, swimming pool, parking in a fenced yard, quiet location, close to CPT and Stellenbosch, very good access to the airport, very good price. Ottima accoglienza. I proprietari di casa sono persone stupende e dispensano ottimi consigli sulle cose da fare a Cape town. Gli alloggi sono molto caratteristici. A farvi la festa ogni volta che rientrerete a casa un gruppo di simpatici cagnoloni. D'estate possibile usufruire della piscina. La casa circondata da un bel giardino. 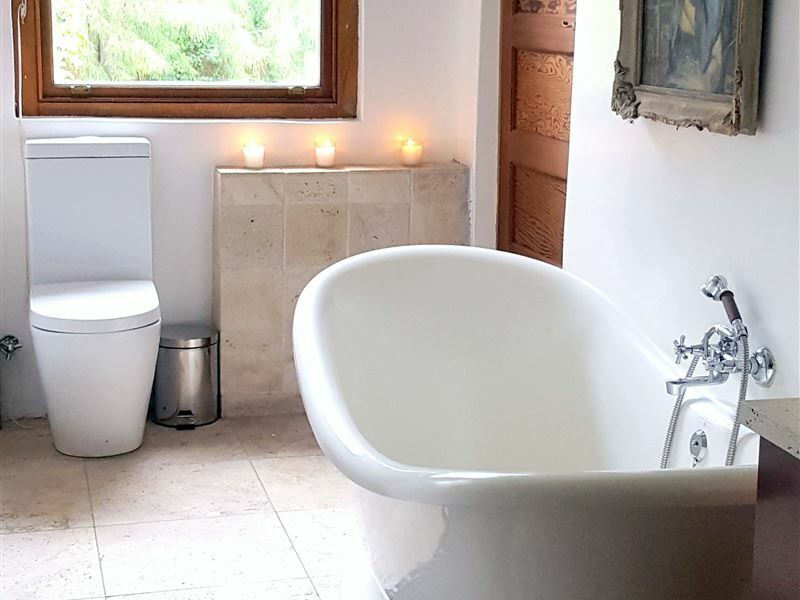 Frieden-Hof is situated outside Stellenbosch on a smallholding, with a peaceful and tranquil and lush garden where we were privileged to be greeted by birds and squirrels. Easy access to the highway to Somerset Wes and Cape Town. 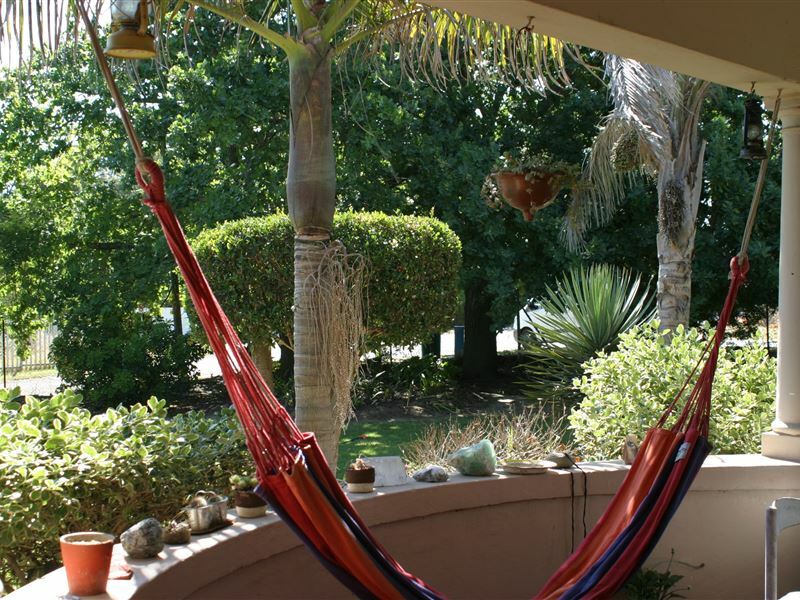 The flat is attached to the house but has a separate private entrance with a private veranda and hammock where you can relax and watch the the garden grow. But the most memorable moments were those shared with our hosts Karin and Grishka Steltzmann who made us feel so welcome with chocolate treats, offers of firewood and braais and suggestions for places to visit in Stellenbosch. We hope to see you again soon. Thank you to wonderful hosts who go out of their way. We had a wonderful time and enjoyed being with all the doggies, chickens and cat. Just loved out stay....... Highly recommended. Request a quote from Frieden-Hof Self-Catering Accommodation at no obligation. Frieden-Hof Self-Catering Accommodation is within a convenient distance from the beach.